Operating the data center that Magento began in, Nexcess prides themselves as the industry leader in performance Magento web hosting. 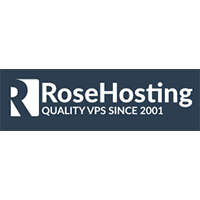 RoseHosting is a leading VPS provider serving thousands of clients world-wide. It was the first and only web hosting company in the world to offer commercial Linux virtual servers back in 2001.